Frankly, if we are honest with our final opinion, we all know that what we desire most is the latest gadget rather than the best. In the case of Vacuum Cleaners, the choice for the latest can become slightly confusing when cleanliness becomes the primary selection criteria. The latest Vacuum cleaner may not necessarily be as a good as a few year old version in spite of all the stunning additive features. I Robot Roomba series have been in the market for a very long time now. 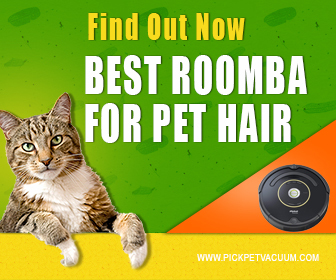 Roomba has inspired many tech companies to create their line of advanced robot Vacuum cleaners. Roomba primarily has only robot vacuum cleaner models only. However, in the case of Shark Ion and Eufy, they also have other models like Stick, canister, handheld models, etc. available. Roomba was introduced in the market exclusively as Robot vacuum, so it is not surprising at all that it does not have any other variation to choose from. The Roomba series has a battery life of 60 to 90 minutes in comparison to Neato Botvac which has a very long Battery life of up to 130 minutes and Eufy Robovac which can last up to 100 minutes. The maintenance cost of Shark Ion is about 100 to 115 $ annually while it is 75 to 90 $ in case of Neato and 50 to 70 $ in case of Eufy. Roomba is undoubtedly the most hassle-free and low maintenance Robot Vacuum in the industry as it costs about 30$ annually for maintenance of any of the Roomba models. Three modes deep cleaning is the primary feature of all the Roomba series which makes it the best in the field. 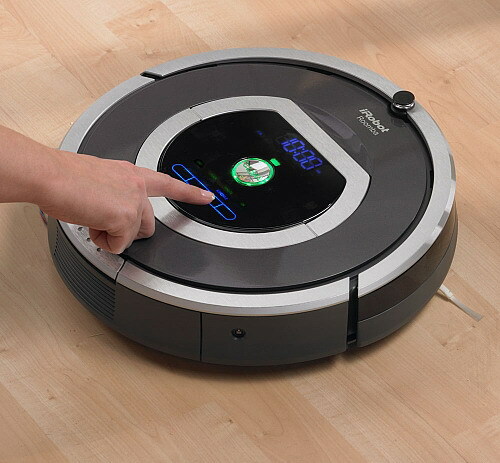 The Roomba series has an Autovac deep cleaning with 5x vacuum capacity. This makes them a reliable cleaner, especially in houses with pets. Eufy and Neato vac cannot collect fine danders and pet hairs as well as the Roomba series. All the Roomba models are equipped with Virtual wall barrier detection. The Effy Series do not have this feature at all though Neato Botvac has a few models installed with this additional feature. The NeatoVac models need about 120 minutes to 150 minutes of Charging time while the Roomba models need 180 to 200 minutes to load completely. Almost all the Robot Vaccum cleaners have the automatic home return option available whenever the charge is depleted; however, only a few models restart and resume work after completion of charging. Roomba 900 series auto resumes work while the 600 and 700 series do not have this feature. Neato BotVac uses RPS and Boundary marker technology for room detection while Roomba uses the Lighthouse Technology for room detection and differentiation thus making Roomba a better choice than Neato Botvac. While the remote-controlled operation is not available in most Roomba models, it is present in Shark Ion as well as Eufy and Neato Vac. The Smartphone operability is possible through Roomba Vacuum cleaners but not in case of Eufy or Neato models. The Roomba Models are designed following the goal of ‘switch it on and forget.' Minimal handling is required in operating a Roomba unlike other models available in the market. Roomba can be set on an auto timer, and it will work in its fashion without any assistance and clean the entire floor plan. The Neato Botvac is priced between 349$ to 799$ while the Eufy series is priced at anywhere between 299$ to 499$. The Shark Ion series is also priced similar to the Eufy series. The Roomba has a broader range of models available under various series. The 600 set is priced differently than the i7 series or the 900 series. The entire range of Roomba is priced between 399$ to 899%. Considering affordability over a long period, Roomba is believed to be the most affordable and durable choice. The cleaning ability of Roomba is undoubtedly the best because of the additional added technological improvements. The maintenance of Roomba is also very cheap compared to the other models. On final comparison of all the features and the pricing, it is quite easily visible that Roomba certainly makes it out as the winner.